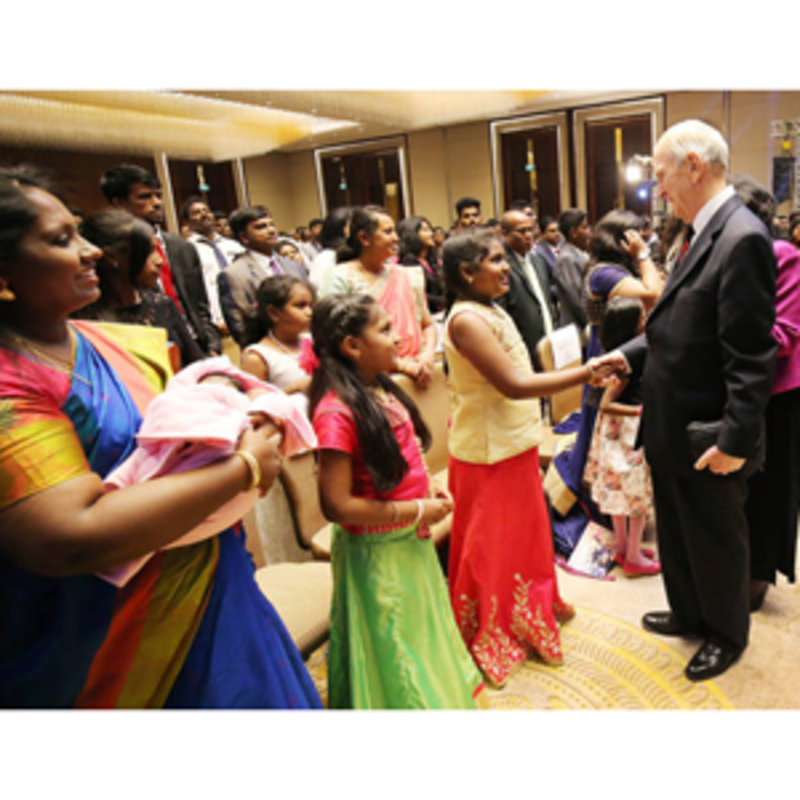 BENGALURU, INDIA — Standing among colorful flowers adorning a stand in the Conrad Hilton Hotel here, President Russell M. Nelson looked to a brightly adorned congregation and felt the intensity of this nation. 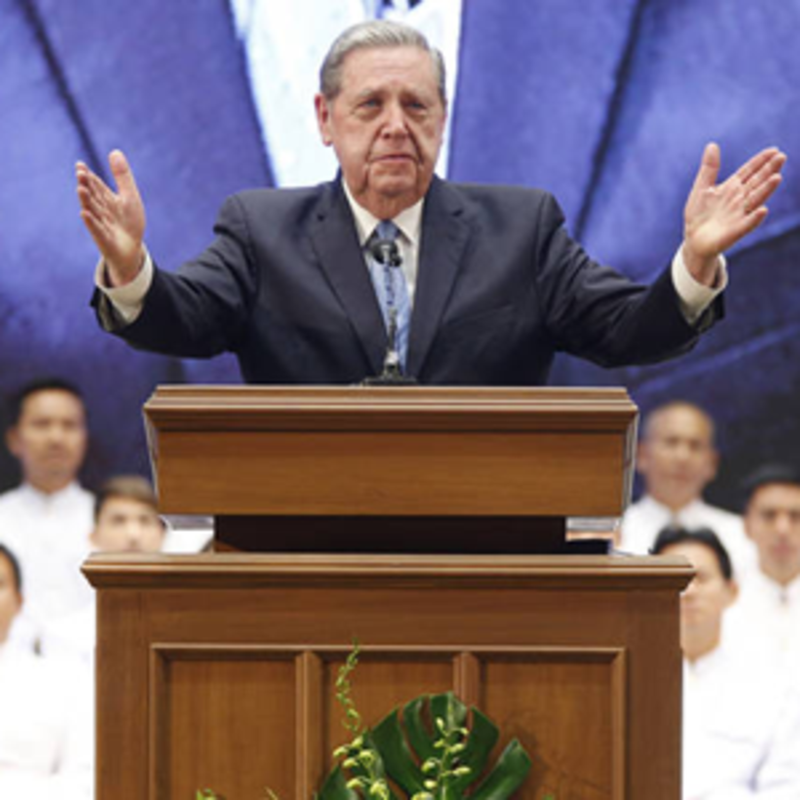 “I am filled with wonder,” he told more than 1,200 Latter-day Saints. “The flowers you see are beautiful, but the flowers I see are you.” The compliment instantly elevated Latter-day Saints living in this country of deep spirituality, dense populations, and bright colors. We watched the 93-year-old leader reach down and pick up a child who had brushed against his leg. We watched him kneel down to another child’s level. We saw him respond to the hugs of others. The scenes became so commonplace during the tour that we almost forgot to be awed by them. 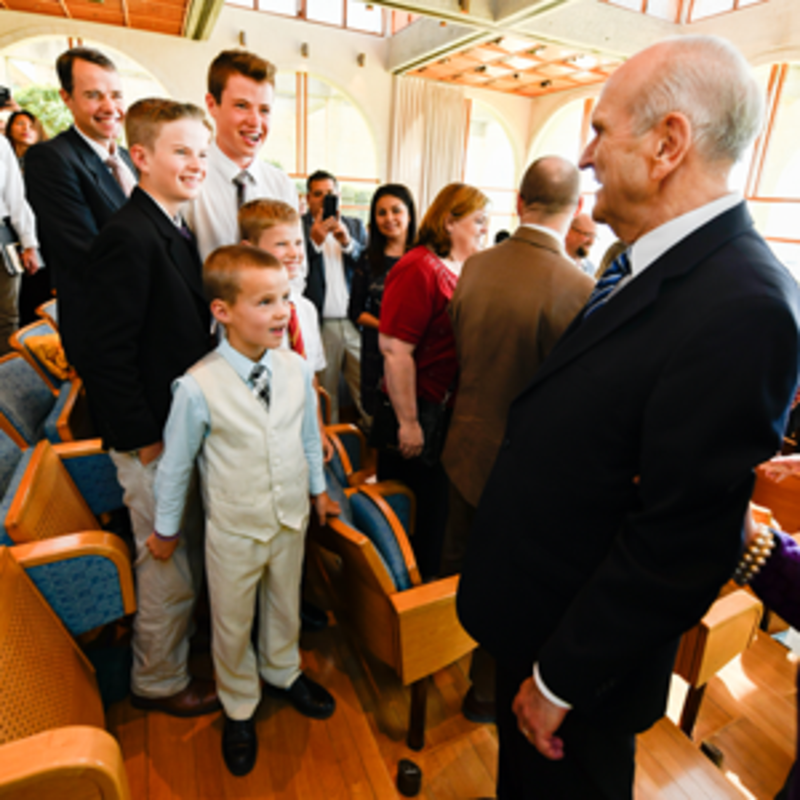 Ministering to God’s children — especially His little ones — is second nature to President Nelson, a father of 10, the grandfather of 57, and great-grandfather to 116. 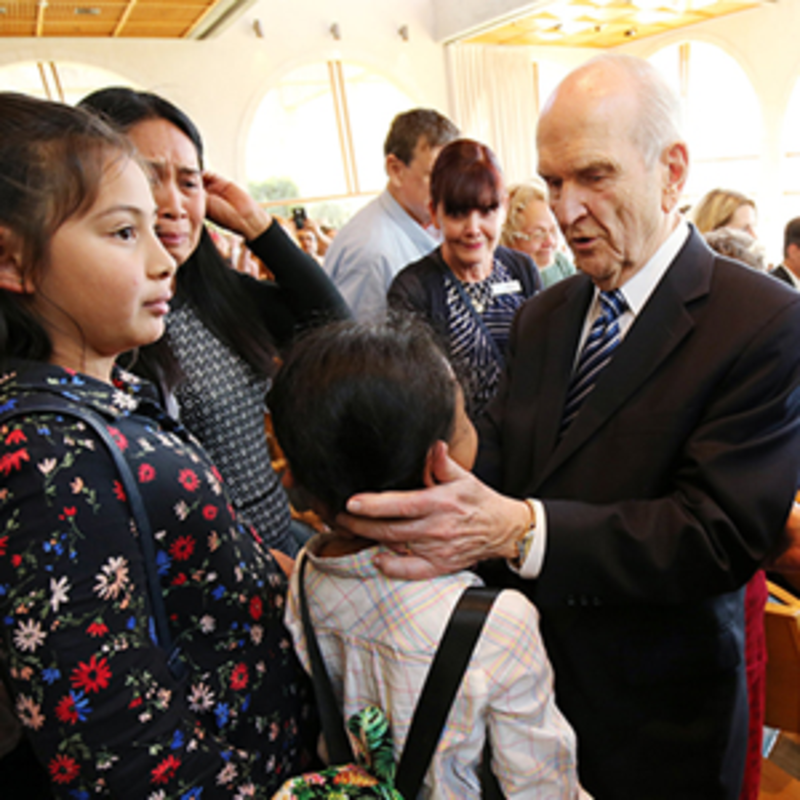 And then there was seven-year-old Ella Bautista — the child of Filipino Latter-day Saints living in Tel Aviv, where her father works as house help. 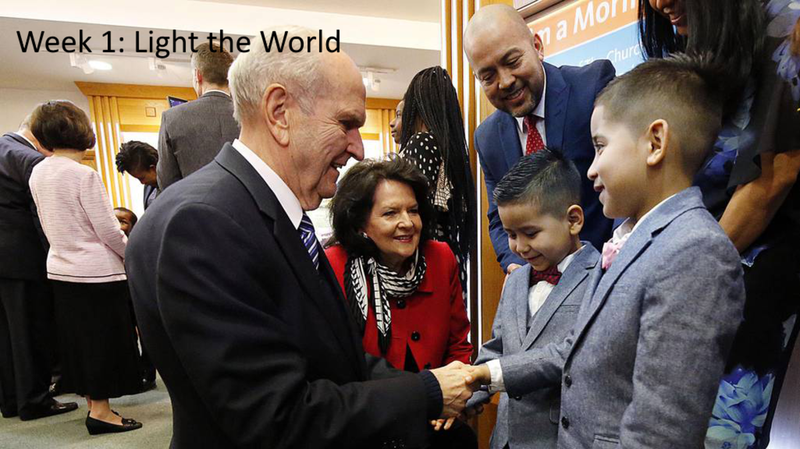 Before the meeting the little girl insisted President Nelson would personally greet her, even though adults around her said this would not be possible. 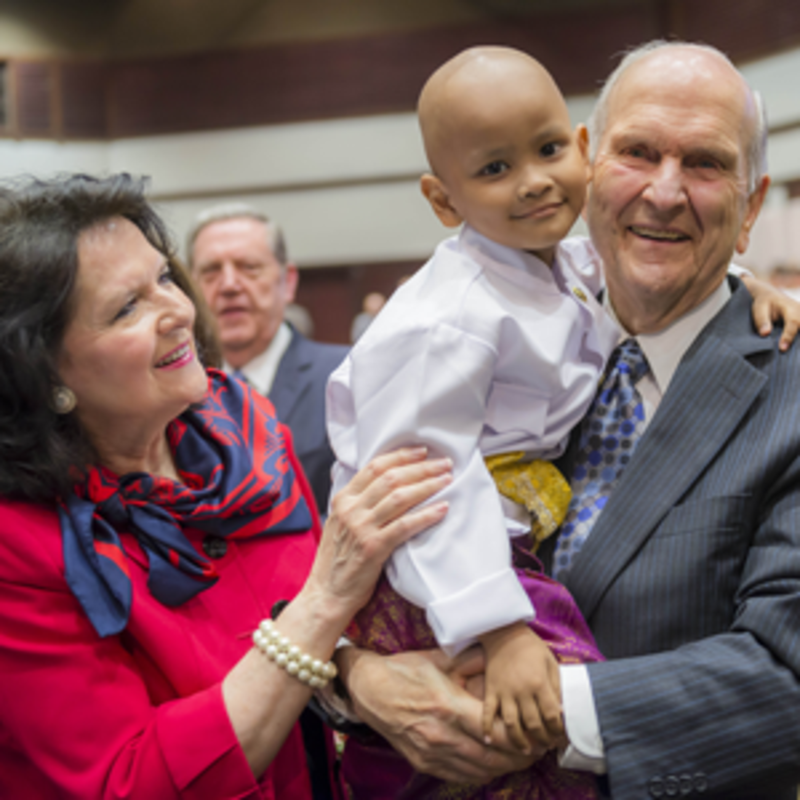 President Russell M. Nelson greets attendees at a district conference held at the Brigham Young University Jerusalem Center, April 14, 2018 ©2018 By Intellectual Reserve, Inc. All Rights Reserved. 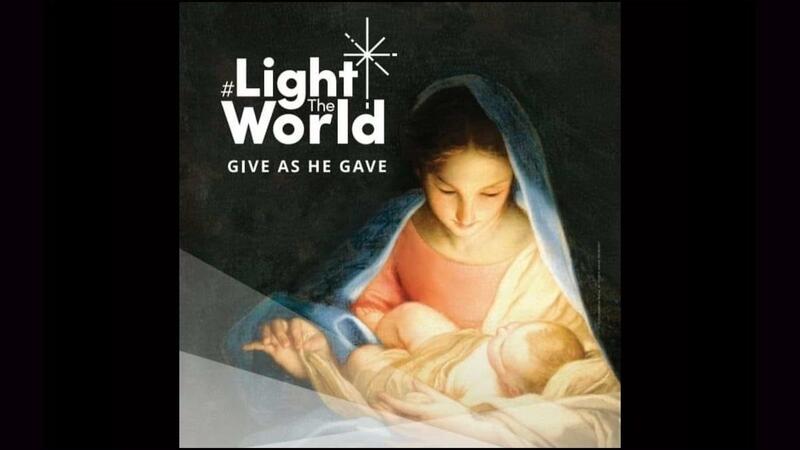 Jesus’ love knew no bounds. Discover ways to help someone in another part of the world this week.